Scaled Down, Not Scaled Back: Compact A-arm front suspension is tuned for light, sporty steering and comfortable ride quality, with preload-adjustable shocks offering 5.0 inches of wheel travel and adding to the Raptor 90's full-size ATV look. The rear swingarm also features a 5-way preload adjustable shock, offering 5.8 inches of wheel travel. 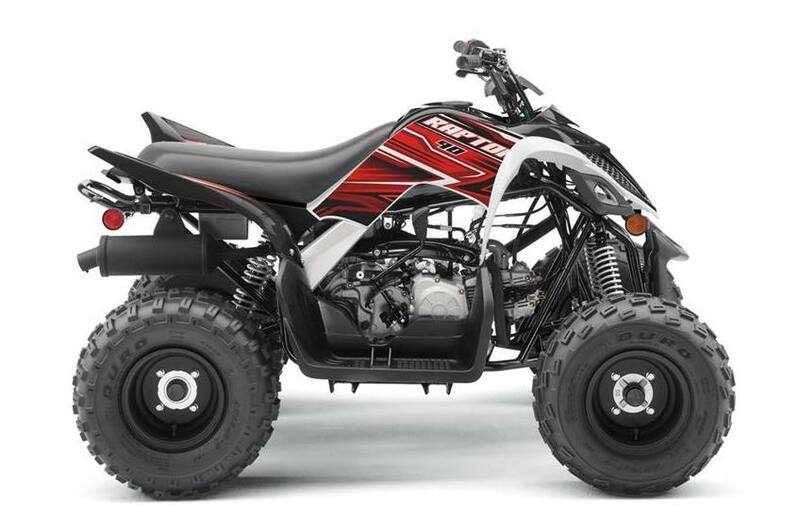 Robust 90cc Engine: The 90cc four-stroke SOHC engine is tuned to develop excellent low-to-mid-range performance, just where it's needed. 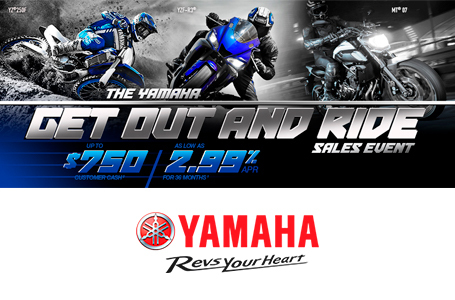 Engine is air cooled for simplicity, performance and long engine life and it uses ultra-reliable wet-sump lubrication. Automatic Transmission: Fully automatic, continuously variable transmission (CVT) means no shifting. Handy for all riders, it's a feature entry-level riders particularly appreciate. And standard reverse eases maneuvering the Raptor 90. Sporty Drivetrain: Engine power is transferred to the rear wheels via a tried-and-true O-ring chain drive, running along a swingarm that's set at an optimized angle for rear shock performance. 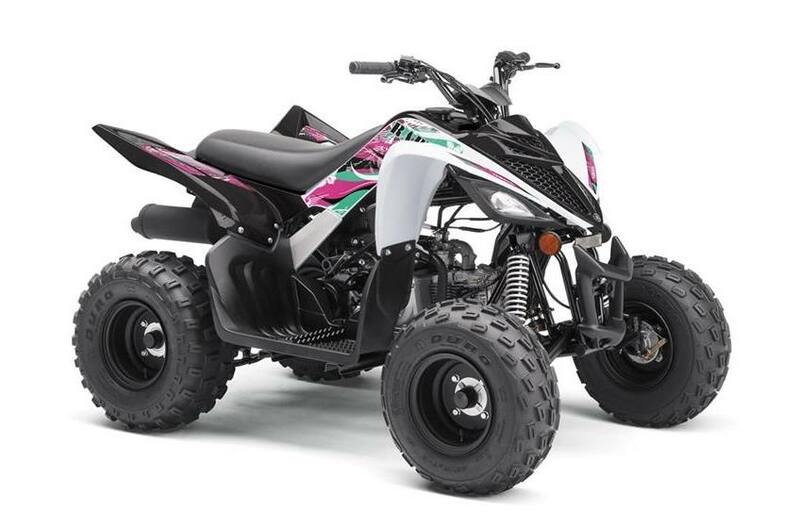 Sporty Chassis: Compact A-arm front suspension is tuned for light, sporty steering and comfortable ride quality, with preload-adjustable shocks offering 5.0 inches of wheel travel and adding to the Raptor 90's full-size ATV look. The rear swingarm also features a 5-way preload adjustable shock, offering 5.8 inches of wheel travel. 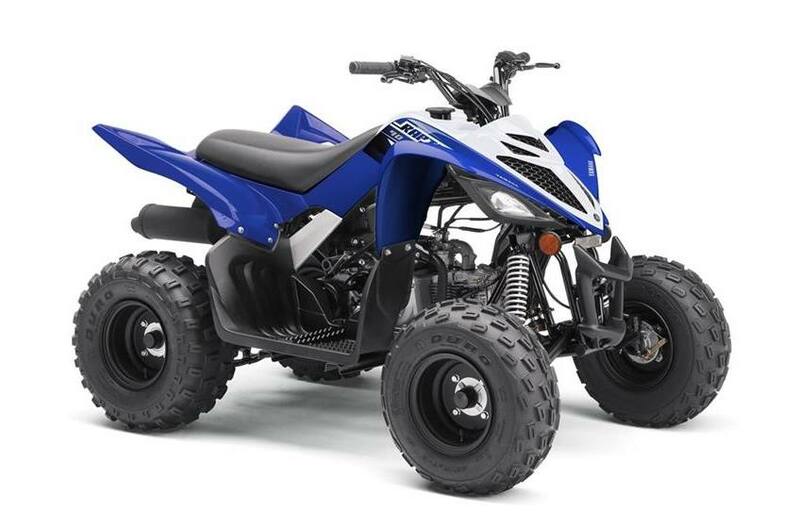 Comfortable Accommodations: The Raptor 90 is designed to be comfortable for a wide variety of riders. With its roomy ergonomics, plush seat and wide floorboards, riders 10 and up won't outgrow the machine before they're ready for more displacement when they're older. Secure Stopping Power: For reliable stopping power, three sealed drum brakes bring the Raptor 90 to a quick halt. There's a handlebar-mounted parking brake, too. Modern, Reliable Electronics: The CDI system means reliable ignition performance, with a strong, efficient spark - and a sealed, maintenance-free battery gives worry-free service. Handlebar-mounted reverse and neutral indicators keep the rider informed, too. L x W x H: 58.5 in. x 40.2 in. x 37.6 in. Maximum Ground Clearance: 3.9 in. 58.5 in. x 40.2 in. x 37.6 in.